Leukemia Fighter! (CML); I Am Dancing and Traveling My Way Through: The End of Day 2: Let the Chemo Begin! The End of Day 2: Let the Chemo Begin! So here I am; it is almost 10 pm and they just finished up with the leukapheresis. We are both exhausted. There has been so much to digest and so much going on that I have barely even had time to think. 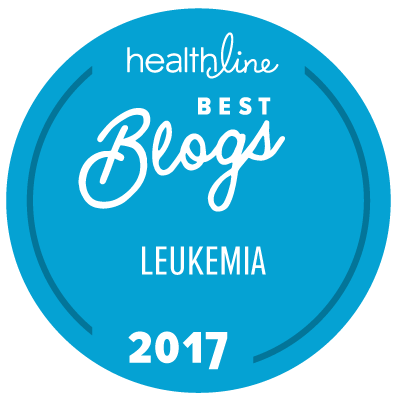 I still know very little about leukemia and have yet been able to get my hands on a computer to start my own research. The nurse comes in with new consent forms. These forms are for the chemotherapy which is to begin shortly. Of course I sign on the dotted line as I have been told that this is a necessary treatment towards my recovery. I begin to ask them questions regarding the type of chemo it is, what are the side effects and how long do they last. I also want to know what the goal is. Being that nausea and vomiting are part of the side effects I firmly inform that that I have, for lack of a better term, “vegul nerve syndrome”. This lovely syndrome occurs right before I vomit, throw-up or puke! Just prior to throwing up I get very light headed and pass out. Yes, I mean pass out cold! Never know just what position I will find myself upon regaining consciousness but I have experienced many black eyes and knots on my head from the enchanting phenomenon. I did not wish to reenact any of those scenes during my chemo treatment. I did not have near enough padding for their bathroom floor and I just couldn’t get over imagining the ba-zillions of germs lurking in that room. With that being explained, they ensured me that they were going to do whatever they could to keep me from becoming nauseous. At 11 pm they started Aloxi, a medication that is a long acting anti-nausea drug that should last about a week. It took about 45 minutes for that med to drip into my IV. At this point Joe headed to a hotel right around the corner. I do not know who was more exhausted, me or him. I can hardly even imagine the tables, or should I say beds being turned. I would be such a wreck if he was the one lying here in this bed. I thank God every day for bringing him into my life. Once the Aloxi was dripped dry, they started another anti-nausea drug called Emend. This is used to treat nausea that may occur during or within 24 hours of having the chemo treatment. I guess someone finally took me seriously! They were doing everything that they could to control my nausea and I can’t say that I blame them! A throwing up, passing out cancer girl would make a great big mess and use up a whole lot of nurse-power. Amen to that! Next on the list was the Cytarabine; the poison that would help to save my life. I must say that it really is a bit disconcerting when anyone that handles the bag with the Cytarabine handles it with these really thick, big blue rubber gloves. The nurse explains to me that it can burn their hands if it gets onto them. I really want to know how in the world something so toxic can go into your bloodstream and not burn a hole right through it. Anything that even comes close to this med is thrown into a toxic waste bin that is near the doorway of my room. I read everything that they printed off of the internet for me regarding this drug, took a deep breath and told them to “let it rip!” Drip, drip, drip…..I tried to calculate just how many drips it would take before it actually reached my arm. Somewhere around 672 I figured that it must be there. I waited patiently as I took deep breaths hoping that I would not have any major reactions to the drug. Since I did not have an immediate heart attack, I figured that I would live to see the bag empty. Three hours later I was done with my first round of chemo. I had some nausea, a headache and the vein that they used was totally inflamed, but other than that I seemed to tolerate the treatment well. I am now finally dozing off, ending my second day living with CML Leukemia. I am envisioning the chemotherapy avoiding the good cells and destroying the bad ones. I must sleep as tomorrow begins Round 2 in my fight to get the heck out of here! Things sure are moving quickly for you. I am glad you are staying on top of things and insist on being informed. You're going to fight right through this with both fists swinging! Calcium supplements really helped me balance the icky feeling pheresis caused since the procedure can mess all that balance up. I am very curious about your blood counts... I hope pheresis has been kicking some white blood cell tush. Drink lots and lots of water =). The first leukapheresis took the whites down from 381,000 to 273,000, now wonder I felt like crap! And yes I have been drinking so much water that I am sloshing!